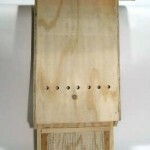 MEDIUM BAT HOUSE: Pictured here are the three Medium Bat Houses we sell. They come in two colors, "Natural" (Light) and "Walnut" (Dark). The unfinished one you can paint the color of your choice, it is just a little less costly. They come with a full Five Year Warranty against construction flaws. 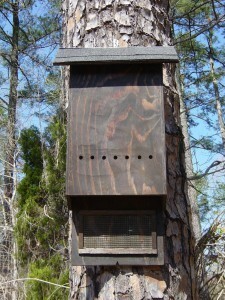 These Bat Houses are two chambered. They will hold 25 to 50 bats comfortably. Their dimensions are 32" Tall by 13" Wide x 3 1/2" Deep. The unfinished house comes with shingles, rainguard and mounting hardware. All three of these have the same features. Hardware cloth is throughout the inside providing a secure material for your bats to hang onto. Hardware cloth is used on the landing pad. 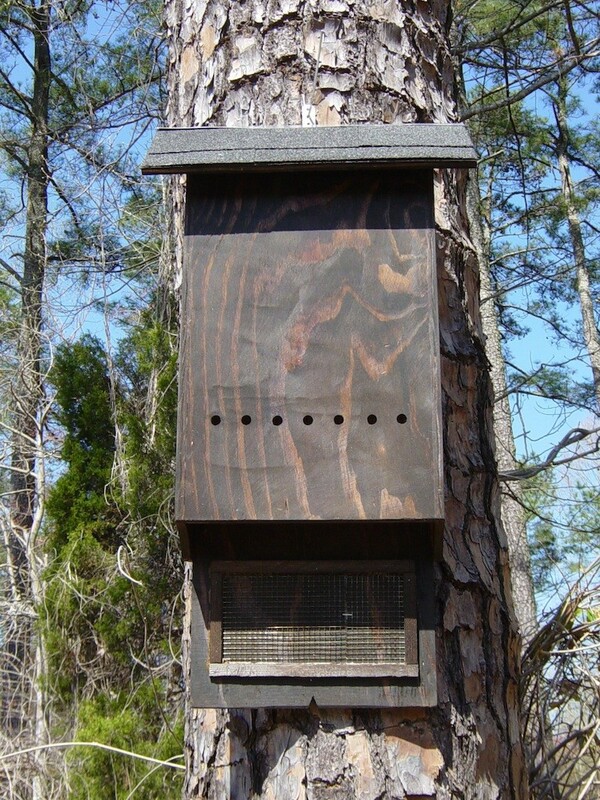 This gives the bats something to hold onto when they are trying to enter your house. All seams and cracks are sealed to prevent parasites from easy access to nest sites. Each house has a shingled roof to keep water out and act as a solar collector for heating the house. There is an attic space which is sealed off from the main living chamber. This attic serves as a heat retainer as well as a noise buffer. 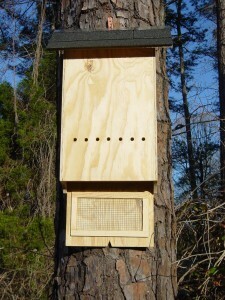 Each house comes with a hanger so it is ready to be mounted. Comments on BAT HOUSE 2 CHAMBER 32" X 13" X 4"
I'm interested in purchasing a bat house & was wondering what kind of wood do you guys use to build these homes? 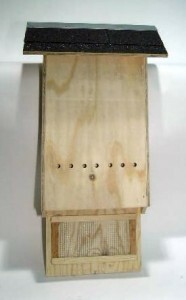 This model is made with 1/2" plywood. Once built, its sealed with glue and then stained and varnished insuring the house will last for 5-10 years.